Swag Brewery Honey Pilsner Beer Soap | BUDK.com - Knives & Swords At The Lowest Prices! Bar weighs 3.5 to 4 oz. Swag Brewery has taken innovation in craft beer to new heights by putting your favorite flavor of beer into a totally unique form - soap. 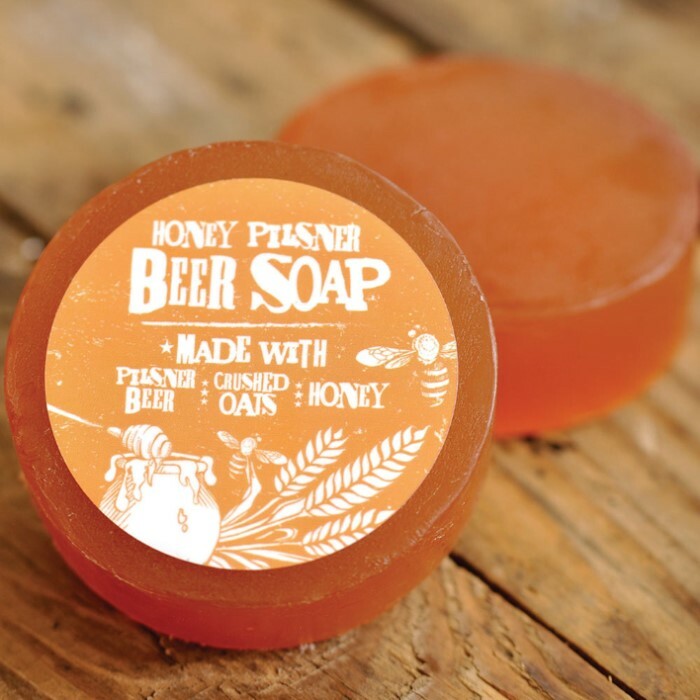 Yes, this is a bar of soap that actually contains craft beer as one of its all-natural ingredients. What you get is a soap that not only smells amazing but is also rich in vitamins, minerals, antioxidants and amino acids, making it great treatment for your skin. Other ingredients used include orange peel, crushed oats and reals hops to boost the cleaning power of the soap, which can be used as hand soap, body soap, hard shampoo and shaving soap. 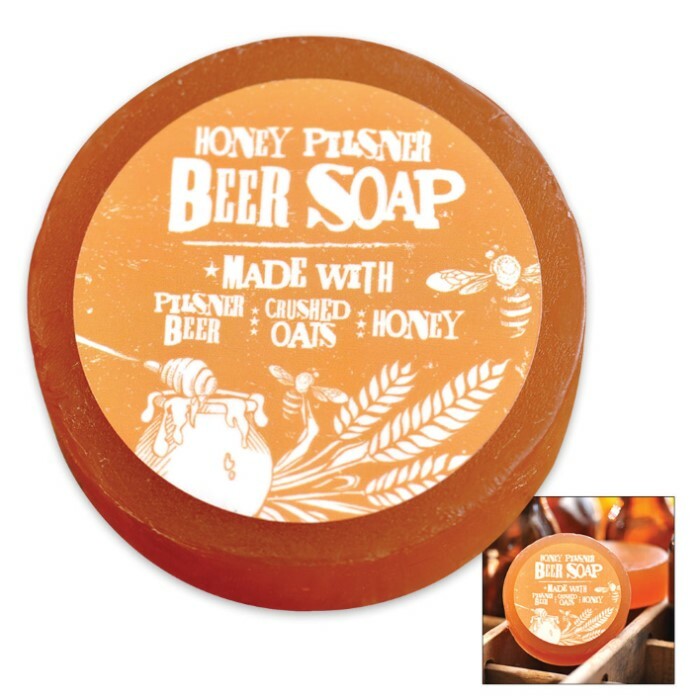 The Honey Pilsner Beer Soap is made with pilsner craft beer, honey, and crushed oats, giving it a scent with notes of vanilla, honey, and melon. Each bar weighs approximately 3.5 to 4 oz.